One Thursday evening in 1974, 46 competitors lined up at San Diego’s Mission Bay for a crazy race of swimming, biking and running. As the sun was going down, the last athlete completed what most consider to be the first modern-day triathlon. Two of those participants later helped organize the first Ironman triathlon in Hawaii in 1978, a defining race for the development and popularity of the sport. 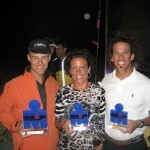 With this beginning, it’s easy to think triathlons are only available to beach communities and hardy travelers. 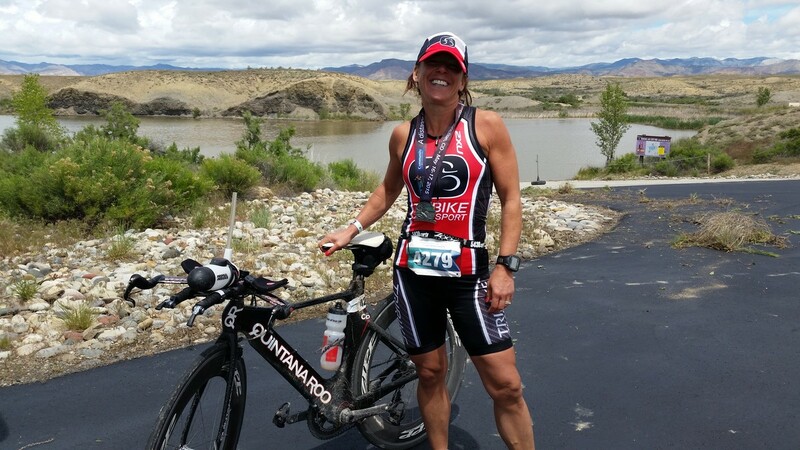 But Parker resident Sydney Cornell didn’t need an ocean to let triathlons change her life. Although Sydney had run some for fitness, she had become unhealthy and overweight after having her children. In 2002, she began to find her groove in spin classes. On a dare from the spin instructor, along with a promise to help her train, she entered Parker’s Fall Frenzy triathlon, where despite having to learn to swim, Sydney placed in the top five. With that, she was all in. She felt great for the first time in years and felt in control of her weight and health. She became a personal trainer and then a USA Triathlon (USAT) certified coach and started helping others, just as her spinning instructor had helped her. Sydney was coming into her own. 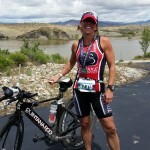 She loved coaching, and consistently made the podium in the local and regional triathlon scene. 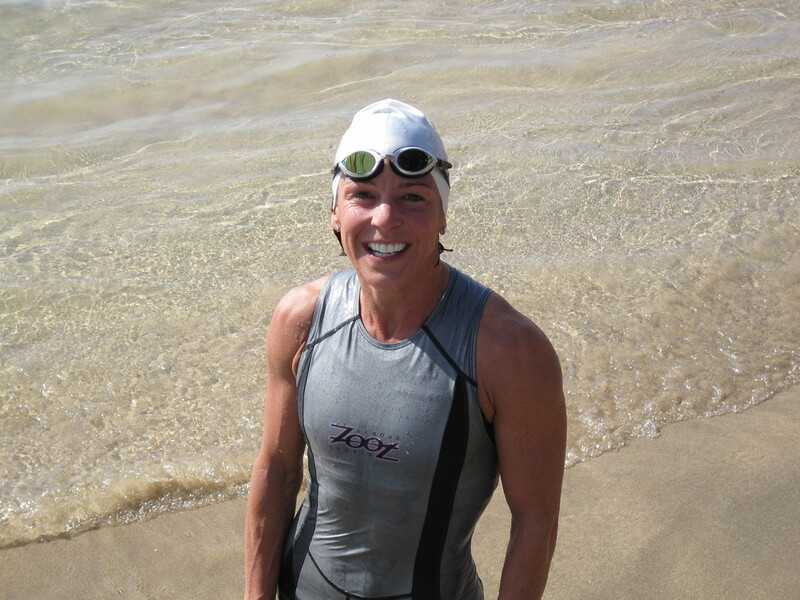 In 2009, she qualified to race in the Kona Ironman, racing against some of the world’s best athletes in a 2.4-mile swim, 112-mile bike ride, and 26.2-mile run. This wife and mother from Parker completed the event in a little more than 11 hours, placing 19th in her age group. For perspective, the winners in the professional division finish in eight to nine hours. To avoid being cut off, participants must finish within 17 hours. In other words, completing 140.6 miles of swimming, biking and running is really hard and you must be smoking fast. It was a great year and Sydney wasn’t finished. 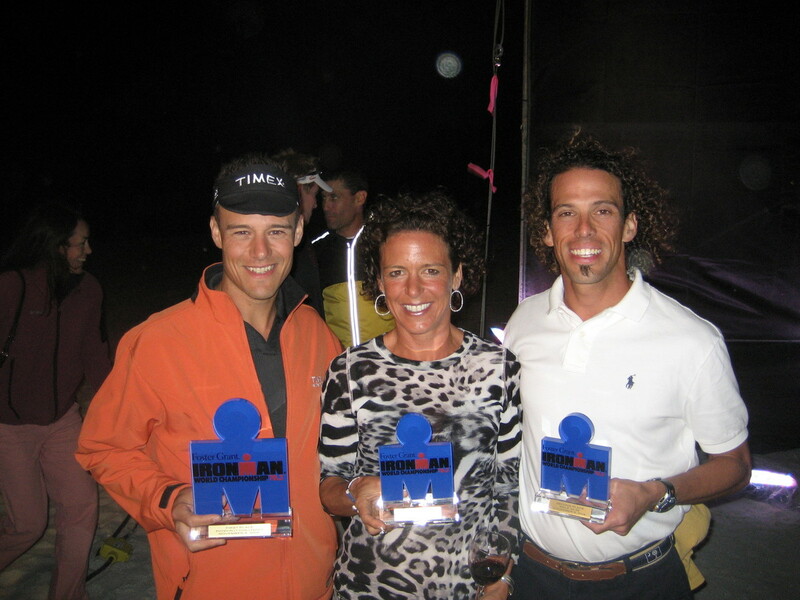 Six weeks later, she took the podium in the Arizona Ironman with second place in her age group, securing a spot for Kona again in 2010. After placing 14th in her age group in the 2010 race, with a finish of just less than 11 hours, Sydney decided her body needed a break from the punishing routines of the Ironman distances. Her children were becoming adolescents, and parents only get to experience these years once. 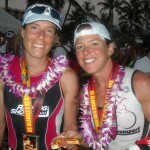 For several years now, she has focused on shorter distances, particularly those of the half-ironman. She continues to coach and helps coordinate some local races, and works for Land Title Guarantee Company in Parker. She has garnered the attention of Tribike Transport, who sponsors her racing. 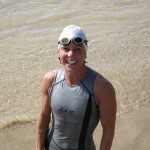 She loves any triathlon, because each one is a new challenge and teaches her something new about herself. But Kona is a thrill that many find addictive. The big island is lure enough, really. You swim in ocean currents. You bike near surf and beaches, and though lava fields. 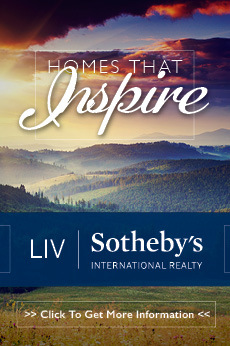 Seriously—lava fields. And then you run, and you run and you run. 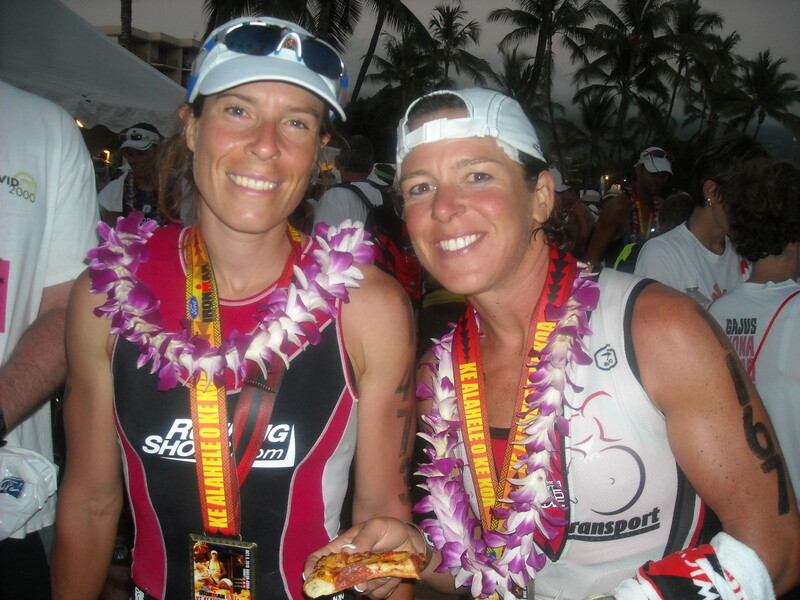 Sydney will tell you that her best moment in her triathlon career was qualifying for Kona. And this year, she’s decided it’s time to try again. She started training for the longer distances last October. She is hoping some of her athletes may also qualify, giving her a feeling of satisfaction that might even surpass some of her own achievements. In 40 short years, the sport of triathlon has exploded from being a kooky, who-would-do-that race held on a beach in California, with car headlights shining on the finish line, to a sport that produced an event known worldwide as one of the toughest to accomplish, to a sport accepted as an Olympic event and to a sport accepted as an NCAA Emerging Sport. Teams have developed, along with national and international governing groups and complicated rules, to ensure everyone plays fair and even. It is enjoyed by people of all ages and genders. 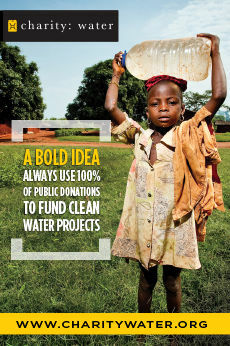 And it changed the life of Sydney Cornell. Not bad for a girl from Oregon who moved out to Colorado for college and just never could quite leave. Who may or may not have genetics superior to the non-Iron among us. Who learned that perseverance can help you achieve something you never knew you wanted. Who tested her mettle and learned that it was made of iron.